Grand Theft Auto V has been a massive success for Rockstar Games, having taken in over $1 billion in global retail sales in its first three days on sale. The game became the UK’s fastest selling game, selling 1.57 million units across all platforms. The game made $800 million on launch day on launch day alone through worldwide sales. 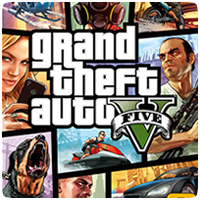 The record makes GTA V the fastest selling entertainment property to reach this milestone, beating both Call of Duty: Black Ops II and The Avengers, which reached $1 billion in 15 and 19 days respectively. Hopefully, Rockstar decide to ride on the back of this success and release next-gen versions of the game for the PS4 and Xbox One.